Make a statement in our Kids Trademark Banner Long Sleeve. 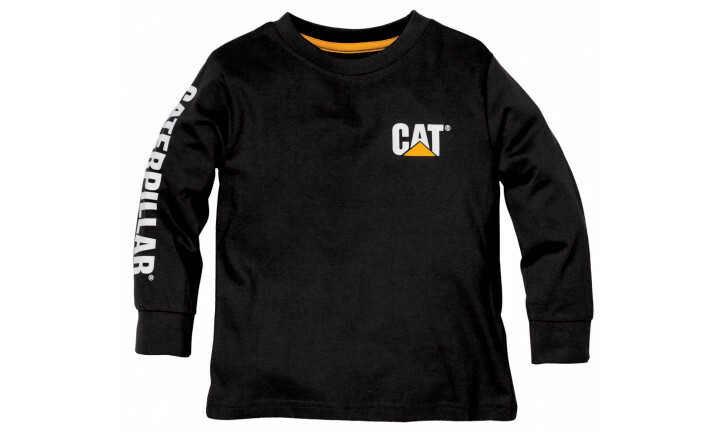 Featuring the Cat logo print on right sleeve and left chest, this long sleeve shirt is stylish all season. Made with premium weight cotton jersey, it features spandex rib trim for shape retention, and tagless back neck for comfort.